On Friday, April 19, a number of breeding-technically very interesting mares will come under the hammer during the Van Olst Sales 2019. 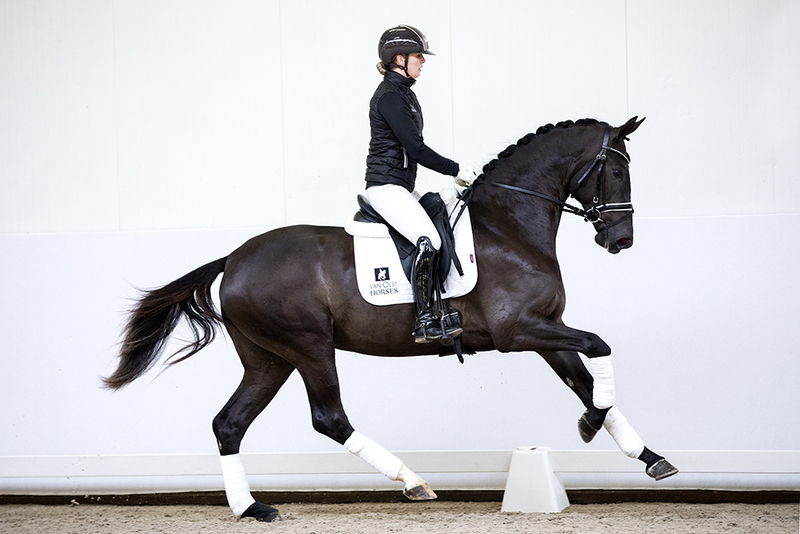 All of them received today in addition to their already received star predicate, also a sufficient score for their performance under saddle during the IBOP test in Turnhout. In the catalog of the Van Olst Sales 2019 there are not only talented stallions and geldings, but also some very interesting mares. These predominantly 3-year-old mares were all declared ‘ster’ with great points last March and can now also add a sufficient IBOP test. These only three-year-old mares were already riding well on strange terrain by our riders Franka Loos and Benjamin Maljaars. In this way future owners are already very close to an elite / keur mare which can already be a good start for a successful breeding. These mares are also all WFFS-free.